Do you already have Webroot installed? 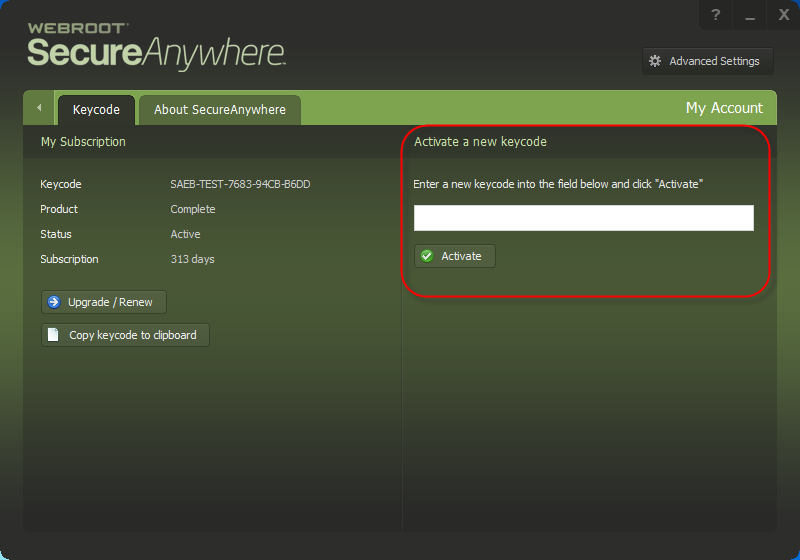 Open SecureAnywhere (see Using the SecureAnywhere interface). If you have Password Manager then you will need to Contact Webroot Support to transfer your passwords to the new keycode. What do I need to do to install a new key Code?